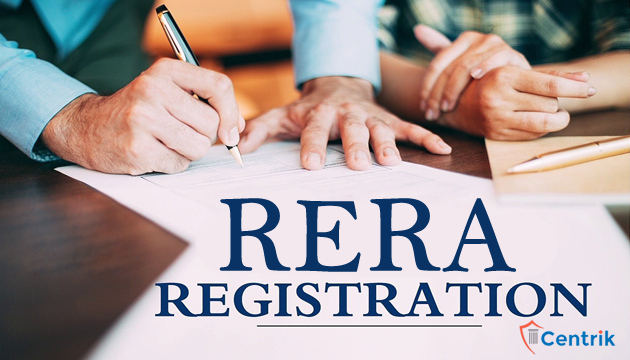 CentrikBlogsBusiness AdvisoryRERA ConsultingWhy RERA Registration is must for Builders? Karnataka RERA: The RERA Act, 2016, is anticipated to regulate the real estate industry and thereby safeguarding investors. All the constructions on 5,000 sq ft and above comes within RERA’s ambit and will require a clearance certification. RERA Karnataka, as on 8th January, 2018, has listed 685 construction projects in red with an alert; stating that the public dealing with these projects is at their own risk as these projects are not registered with RERA and are under investigation. An experienced officer in the department says that apart from the rules listed in the Act, builders should also submit copies of Land Use and conversion document, , encumbrance certificate, khata, approved development plan, sale deed/joint development agreement, No objection Certificates from the state pollution control board and fire safety department. A top-class developer whose eight projects are in RERA’s red list stated that they have given the obligatory documents to the Authorities stressing that these projects have received occupation certificate and thus are not obligated to be listed under Karnataka Real Estate (Regulation and Development) Rules as per rule (4) of sub rule (iv) and hence their name/projects will be removed from the list in 4-5 days. Managing partner of Arna Shelters, K Ramesh, restraints buyers from investing in projects deprived of RERA clearance. In conclusion, we can clearly reach to the outcome that if the builders and developers try to escape their liability of getting registered under RERA then this practice may lead them to unsold inventories which is ultimately the blockage of funds and this will fetch financial crisis for the builders.